There have been other movies about late mob boss John Gotti, but now the don’s daughter, Victoria Gotti is telling her story in the Lifetime biopic Victoria Gotti: My Father’s Daughter. 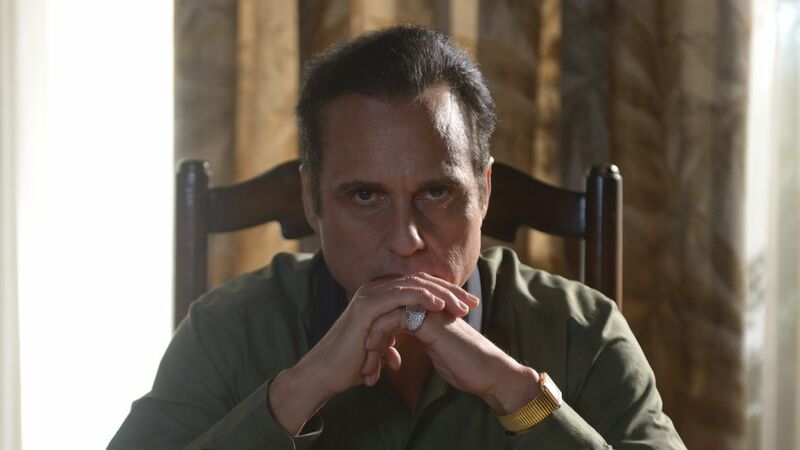 When casting her dad, she selected Emmy-winner Maurice Benard, known to millions of fans for his portrayal of crime lord Sonny Corinthos on General Hospital. There are similarities between the men, but differences between shooting a daily daytime serial and a two-hour movie. Read on as Benard tells TV Insider about his experience playing Gotti, GH’s powerful Alzheimer’s storyline with Sonny’s dad, Mike (Max Gail), and whether or not Sonny’s going to hop into bed with soap hopper Elizabeth Hendrickson, who plays Port Charles district attorney, Margaux Dawson. The daytime vet also reflects on receiving a Daytime Emmy pre-nomination for the dual role and what to expect next from Ryan. Maurice Benard: Well, I had 48 hours to research this between when I was cast and when we started filming. The character ages 20 to 60 during the movie and he has an accent. As filming went on, I had to focus on the grind [of doing my job]. It was never ‘fun’ because I didn’t have time to have fun. I was always concerned about how to do this better. I wanted to please Victoria, Chelsea [Frei, who plays Victoria], and Lifetime. Why did you take on this part? To be honest with you, I was questioning whether I was good or not. I didn’t know for sure. When I got back to taping GH from filming Gotti, I realized that Sonny’s not Gotti. His engine is operating at about fourth gear, maybe fifth. I was doing a scene as Sonny and I was like this is easy! But you’ve been playing Sonny for quite a while. Maybe that’s why you feel that way? Yes. I have been doing it a long time. It was such a different energy from where I was years ago. [Soaps and primetime films] are different genres. And they’re both difficult. I admire film actors a lot more as I’ve been doing stuff outside of daytime. In films, you do a close up and then you shoot it from another angle. I admire that. Victoria wrote this movie. What did you think of her writing? When I read the script, I thought it was beautiful. I was all into it. She reveals that family members gathering for Sunday dinner was something that was very important to her father. What was your take on him? What challenges were there in taking this part on? Was there any research you could do? I’d played [the late] Desi Arnaz (in the 1990 TV movie Lucy and Desi: Before the Laughter) and Frances Fisher played Lucy. He was dead when I played him and so is John. If John were alive and were in the room with me when I had to play him, there’d be pressure. My pressure was that there wasn’t much on him. You can go to YouTube and see a video of him when he’s older. I didn’t use that. There was another one when he’s talking to Victoria and her son. He says, ‘I’m your grandfather! You don’t mess with me!’ We had a dialogue coach who really pinned it down, but I didn’t want to overdo it. What do you want people to walk away knowing after seeing this movie? All I can say is that I tried to do a good version of who I thought John Gotti was. I wanted to make him human. Everyone at GH has been doing an amazing job with Mike’s Alzheimer’s story. What’s it been like to work with him? When I’m in scenes with Max Gail, I can’t help but notice that they dress him like [my real] father. I touch his coat and I feel my father’s jacket. They put a hat on him that my father wears. When I’m in scenes with Max it’s as if he is my father. And now [Mike] has Alzheimer’s. I have so many scenes with him where my heart is aching. Margaux and Sonny had this very adversarial relationship, but there was a shift when she helped keep Mike out of jail. I love working with [Elizabeth]. Love her to death. Do you think Sonny and Margaux will end up having a romp?